In the center of an energy sea that looked more like a lake, dazzling lights shot out, weaving into a complex formation. A fierce wave of energy triggered. Shi Yan and Shang Chen glowed like blinding crystals. They disappeared in the brilliant light. Both of their bodies and souls were teleported. They disappeared from this dead star. Explosions echoed unceasingly inside the dead star. The cave that had been cracked slowly closed. The marvelous s.p.a.ce formation didn't have energy waves anymore. The top-quality divine crystals with abundant energy had lost the energy after they were activated. Now, they looked like dull, ordinary stones that were inlaid in the formation. 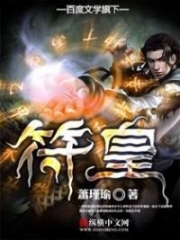 Inside the thick fog, Shang Chen and Shi Yan were like two shining beams moving forward. This kind of mist had magical powers, which could separate the Soul Consciousness. In this area, Shi Yan couldn't sense his surroundings. He felt blind with his eyes open. Obviously, it wasn't the first time Shang Chen had come here. In this thick mist, he continually gave Shi Yan direction and guided him to move forward. "Did we leave Agate Star Area?" Shi Yan was baffled. In that great s.p.a.ce Teleport Formation, Shi Yan felt like his soul and body were separated. He felt so dizzy. When he woke up, he found himself in this place. However, he didn't see the same Teleport Formation here, which made him astounded. Usually, the Teleport Formation couldn't teleport one way. It required another Teleport Formation in the destination to connect the route and teleport people or things. However, when he woke up, he saw himself in the thick mist without another Teleport Formation. He was so surprised. "It's true. We aren't in Agate Star Area anymore." Shang Chen nodded and said, "We are in the peripheral area of another star area. It's called Fantasy Mist Star Area, which is adjacent to Fiery Rain Star Area and Agate Star Area. It's not really far from the place we have just left..."
Shang Chen looked ahead of them, his body releasing magical energy fluctuations that could clear the mist in front of them. He focused and didn't say much to Shi Yan. "Why did you take me here?" Shi Yan frowned. "Someone asked me to do so." "One of the undying b.a.s.t.a.r.ds of your Bloodthirsty's bloodline! I owed him one. I've promised him so today, I fulfilled his wish." "Frederick!" Shang Chen said through his gritted teeth. Shi Yan was baffled. He thought and then shook his head. "I've never heard of him before." Shang Chen turned his head to look at Shi Yan and the Blood Vein Ring on his finger. He spoke faintly, "Hasn't it told you anything?" "Its memory isn't complete." Shi Yan answered honestly. He recognized his intention immediately and asked, "Can you tell me more? The story related to the ring and the descendants of the Bloodthirsty's bloodline? Can you tell me the secrets you know?" Shang Chen pondered for a while and then shook his head, "I don't know. You'd better wait until the ring gathers its memory fully. It will tell you then. I'm not from your bloodline. I don't know many secrets of yours. If I tell you something, it's just the surface of the matter. I may disturb those b.a.s.t.a.r.ds' arrangement... It's not gonna be okay then." "Those... b.a.s.t.a.r.ds? Who are you referring to?" Shi Yan's eyes brightened. He asked excitedly, "Some precursors of the Bloodthirsty's bloodline are still alive? How many of them?" He always thought that the precursors of the Bloodthirsty's bloodline were all dead. The only one who was still alive was the one who cultivated Death power Upanishad. But he still didn't have many clues related to that man. Would that Frederick… be his name? "How could they die easily?!" Shang Chen pouted his lips, his face awkward. "You've underestimated their tenacious vitalities." "Can you tell me which power Upanishad Frederick cultivates?" Shi Yan asked earnestly. Until now, Shi Yan had known five out of eight inheritances of the Bloodthirsty's bloodline, which included Death, Erosion, Darkness, Chaos, and Destruction. He didn't know about the other three. As Shang Chen mentioned them, of course, Shi Yan had to know them. "Frederick is a member of the Corpse Clan. Of course, he cultivates the Corpse power," said Shang Chen casually. "Corpse... Corpse power?" Shi Yan's face became odd. "Corpse power is one of the Great Eight Inheritances?" "Of course," Shang Chen's face was also odd. "You don't even know about the Great Eight Inheritances?" Shi Yan felt so ashamed. He beamed a forced smile. "Until now, I've known only five Powers Upanishads including Death, Erosion, Darkness, Chaos, and Destruction. Now I know about the Corpse power. I don't know the other two." "The Despair power Upanishad that your Great Grandfather is cultivating is also one of them. This kind of power Upanishad requires a lucky encounter and innate endowment to enter. There's no inheritance that could get them into this cultivation path. Your Great Grandfather is so stubborn. But it's what helped him understand the truth of Despair power Upanishad. Oh, right. Agate Star Area used to have a peerless expert who inherited the Despair power Upanishad from your Bloodthirsty's bloodline. Your Great Grandfather could sense the energy of Despair power Upanishad. That's why he came to the North Zone to look for something. Now he has a profound knowledge of that man," explained Shang Chen. Shi Yan had divine light shining on his face. "Oh, it turns out that the Despair power Upanishad is one of the Great Eight Inheritance!" "The last Inheritance is called Soul Driving. It's an evil secret soul technique, which is much profound than that amateur Ino." Shang Chen was still frightened as he mentioned that man, "Your precursor who has mastered Soul Driving power is the most mysterious man in this universe. Besides the Bloodthirsty's Cortege of Eight, no one knows his real ident.i.ty. Rumors say that he doesn't have a body. He's just a wisp of a soul wandering around the big star area. He has driven many experts into the dark. The soul of those experts became part of him. He turned them into puppets that he could control." Taking a deep breath, Shang Chen looked aghast. "The force he controls is so dominating. He's the big brother of the Bloodthirsty's Cortege of Eight. He's the most dangerous and mysterious expert. He's the archenemy that all twelve families of the G.o.d Clan want to kill. The twelve families of the G.o.d Clan have spent their strong armies with countless efforts and time, but they couldn't figure out his real ident.i.ty or his whereabouts." Shang Chen seemed to be wary of that person who had mastered the Soul Driving technique. When he talked about that expert, his face also changed. "Haven't you mastered the Fate power Upanishad? Even you don't know his real ident.i.ty?" Shi Yan was surprised. "The Fate power Upanishad isn't something like you imagine. Quite the contrary, the more you've comprehended it, the more complicated fate means to you." Shang Chen sighed and mumbled, "The deeper I learn about it, the more helpless I've become when I couldn't do anything to turn things around. The spider web of fate is so complicated. I can only have glimpses of it..."
"So, how many people of the Bloodthirsty's bloodline that you know are still alive?" pondering for a while, Shi Yan asked. "There are at least three out of eight members of the Bloodthirsty's entourage. Frederick cultivates Corpse power. Xuan He cultivates Death power Upanishad. And the one who cultivates Soul Driving power. No one knows his real name. Besides them, there are some more possibly living in different corners of this vast universe..." said Shang Chen. "So the Bloodthirsty's bloodline doesn't have only eight people?" Shi Yan was astounded. "You're so ignorant that it's funny." Shang Chen explained with an odd face. "The Great Eight Inheritances of Bloodthirsty have their fruits everywhere. Of course, there aren't only eight people. The Bloodthirsty's Cortege of Eight are the eight leaders of the Eight Great Inheritances. Although there aren't many people who cultivate the eight great powers, it's not only eight of them in this universe. However, after that war with the G.o.d Clan, almost all members of the Great Eight Inheritances were killed. The eight members of the entourage were also damaged badly. Some disappeared..."
"How mysterious or special is the Master of the Bloodthirsty?" Shi Yan asked, "It seems like my inheritance comes from him..."
"Him? I'm not qualified to talk about him." Shang Chen changed his face in fear. He immediately closed his mouth, his panic-stricken eyes glancing at the Blood Vein Ring on Shi Yan's finger. Pondering for a while, he said, "Wait until the Ring Spirit has restored its memory. Then, you can ask it. I don't dare to say anything related to him." After that, no matter what Shi Yan tried to ask him, Shang Chen remained silent. He didn't say anything while wearing a bizarre countenance. After a long time drilling through the thick mist, Shi Yan's eyes brightened as he screamed. "There's a life star!" A beautiful sky star was inside the thick mist. It radiated a fierce halo that looked like an electric arc that covered everywhere. It was a still planet as it was moving with energy that could destroy everything. Under the magnificent halo of the star, Shi Yan found many mineral stars and dead stars surrounding that blue-sky star. However, while the star was moving, it often impacted and crushed the dead stars and mineral stars standing in its way as easily as breaking dried tree branches. Those mineral stars and dead stars turned into smaller meteors that fell extremely quickly. That blue sky star was very ma.s.sive. It was much bigger than any star Shi Yan had seen. His Soul Consciousness couldn't cover the entire star and those electric arc layers had sealed the whole planet. Shang Chen screamed excitedly. "Finally found it!" Shi Yan was scared. "The destination you said is this life star?" Shang Chen nodded and said, "I've agreed with Frederick to bring you there. I went to Agate Star Area to find you and arrange for you to access that life star." "Access that life star?" Shi Yan was surprised. "Why do I have to go here?" "The thing that could cure your Great Grandfather is in this planet. Besides, it has more magical things. Frederick wanted you to go there for something better for you." Shang Chen looked so bitter and regretful when he took out a blue-sky fruit which looked similar to that life star. "I have to exert a lot of effort to have this "Guiding Fruit." Oh never mind. The favor I owed your Bloodthirsty's bloodline could be paid off with this though." "Can you give more details?" Shi Yan was a little annoyed. "This life star is called "Desolate." It's an ancient continent. In this vast universe, there are only five ancient continents. This "Desolate" is one of them, but it isn't similar to any other ancient continent. "Desolate" doesn't give birth to any creature. It only bears precious and rare Original Incipient Grade herbs and other materials. It will open every ten thousand years for ten years. Yeah, you know the ancient continents have the Origin. The Origin somehow has cognition. You can consider "Desolate" a life star with cognition. Only the "Guiding Fruit" growing in "Desolate" can let you in. Here... it's for you." Shang Chen explained and then handed Shi Yan that strange fruit. You're Read God Of Slaughter Chapter 1089: Desolate online at NovelOnlineFull.com. You can use the follow function to bookmark your favorite novel ( Only for registered users ). If you find any errors ( can't read,broken links, can't load photos, etc.. ), Please let us know so we can fix it as soon as possible. And when you start a conversation or debate about a certain topic with other people, please do not offend them just because you don't like their opinions. You're reading God Of Slaughter. This manga has been translated by Updating. Author(s): Ni Cang Tian,逆蒼天. Already has 1366 views. Current Time is 23-Apr-2019 10:38:00 AM.